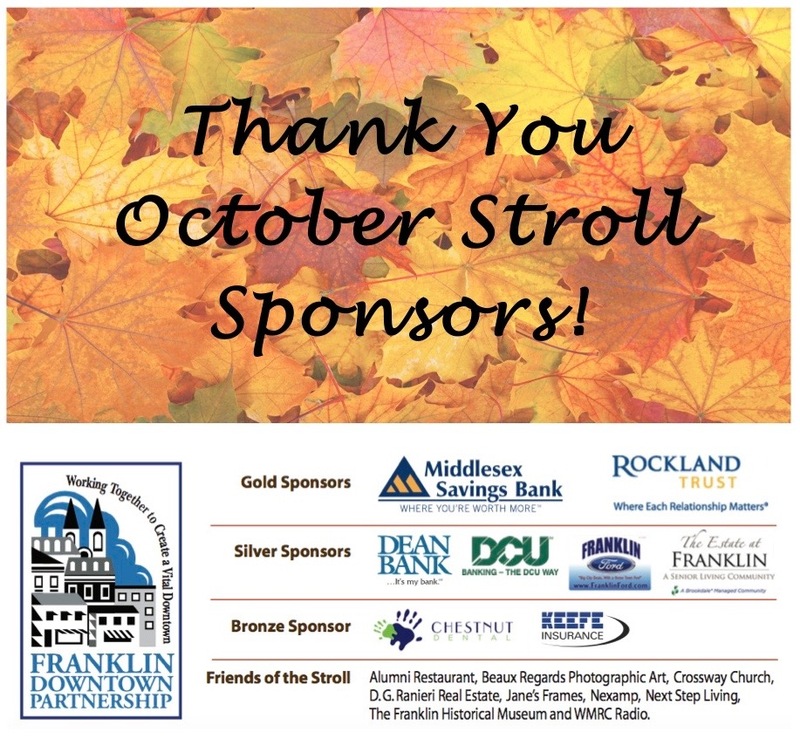 Franklin Downtown Partnership: Thank You To Our October Stroll Sponsors! 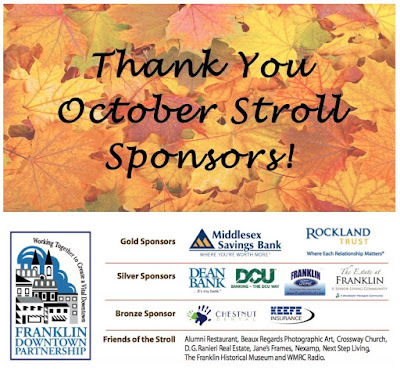 Thank You To Our October Stroll Sponsors! Plans are firming up for our October Stroll next Thursday, October 15, in downtown Franklin. We couldn't do it without our fabulous sponsors!